These everyday items may seem like healthier options, but a nutritionist says to leave them on the shelf. 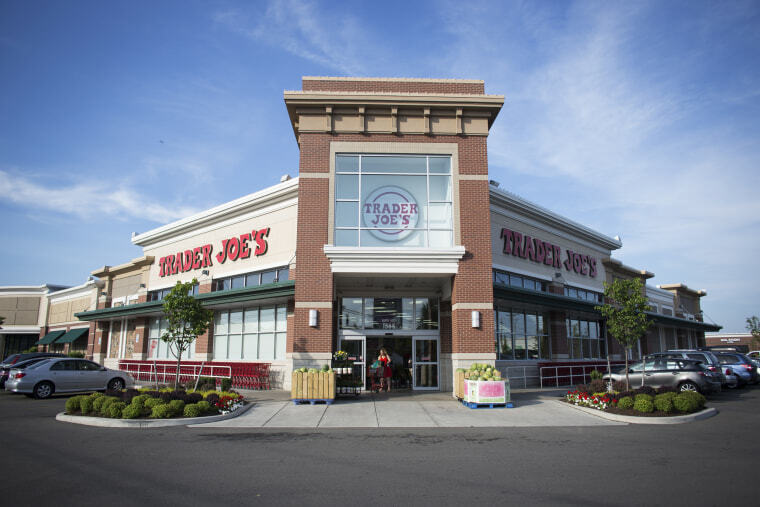 Trader Joe’s is a great place to shop for healthy convenience fare, but don’t let the logo get the best of you. Not every product is a nutritional winner. I’m not even talking about things like brownies, cakes and ice cream. You don’t need to be a dietitian to know you aren’t hitting a nutritional home run with desserts. However, some everyday items that might seem like healthier options aren’t so good for you, either. Here are some of the offenders that are best left on the shelf. With all the healthy buzz words (yogurt! Almond butter! Coconut! ), you may be thinking, “Wait! What?” Here’s the deal: All of those ingredients can make nutritious sense, but a peek at the label shows that the ‘almond butter coconut base’ lists cane sugar as its first ingredient. That explains the two-plus teaspoons of added sugar this product provides. That’s more than a third of the maximum amount women should be getting each day (men should cap added sugar intake at 9 teaspoons per day). My advice: Pass on this product and instead, try some plain Greek yogurt with a spoonful of almond butter sprinkled with unsweetened, toasted coconut. If you need a little sweetener, use a drizzle of honey or maple syrup. I bet you can get by with less than TJ’s adds to their version. This is so misleading! Here’s why: Though the words “very green” are highlighted in big bold letters on the label, what really jumps out at me is the juice. Apple juice is listed as the first ingredient and pineapple juice isn’t far behind. And the bottle, which is sold with the single-serving drinks, contains two servings. Here’s what that looks like: 260 calories; 62 grams of carbohydrate, and 56 grams of sugar. This disastrous combo, which lacks protein and fiber, has an immediate and unhealthy impact on your blood-sugar levels. If you have trouble meeting your produce needs and want to sip some greens, find juices that are made with veggies and little, if any, fruit juice. Better yet, blend your own greens with one serving of whole fruits into a smoothie and you’ll get the fiber (which gets extracted from juice) along with the array of vitamins, minerals, and protective phytochemicals. The trouble with this trail mix is that the first ingredient is candy, not nuts or dried fruit. This misses the mark. Nuts have so much going for them: they promote feelings of fullness, thereby helping to reduce overeating, and they have a wide range of nutrients that promote health. Plus, nuts provide prebiotic fiber, the kind that nourishes the healthy community of bacteria in your gut and provides fuel for a strong immune system. A healthier snack idea is to munch on nuts alone, or make your own trail mix, with a blend of mostly nuts, along with dried fruit and other add-ins, such as popcorn, toasted coconut, or whole grain, lower-sugar cereal. For chocolatey flavor, add cacao nibs, which are made from pure cocoa beans and are also sold at Trader Joe’s. Sure, these bars boast 9 grams of fiber, but not from a whole food source, like nuts or fruits. This overly processed bar is predominantly made with a manufactured form of fiber — oligofructose — that can trigger digestive discomfort, like gas and bloating. Thanks, but no thanks! Luckily, Trader Joe’s has healthy granola bars, like These Peanuts Go on a Date Bar, which have a very simple ingredient list. This raises all sorts of questions starting with, “What’s better than peanut butter?” Peanut butter has more protein and fiber than any of the nut butters, and the type of fat in peanut butter is predominantly monounsaturated (also known as MUFAs) — the same type found in olive oil and avocados. This type of fat benefits your body in multiple ways, from lowering your risk of diabetes and heart disease to improvements in memory and thinking skills in older adults. One study found that MUFAs help optimize brain connections linked with higher intelligence and problem-solving skills. Tell me why, exactly, we want to limit these fats, or worse, replace them with additives and sweeteners? Pass on this product in favor of actual peanut butter, such as Trader Joe’s Organic Peanut Butter made from Valencia peanuts. Consumers looking for gluten-free fare often cite healthy living as a primary reason they’re looking for these types of foods. Let’s set the record straight right away: Free-from labels (such as gluten free, dairy free and nut free) aren’t the best indicator of a product’s healthfulness. Take these frozen pancakes from Trader Joe’s. The 3-pancake serving has 11 g of sugar (here we go again; that’s almost 3 teaspoons — before you add the maple syrup), and absolutely no gluten-free whole grains, such as brown rice flour, oats or buckwheat flour — all perfectly great pancake ingredients. What you’ll find instead are refined carbohydrate flours (read: not healthy), including rice flour, tapioca flour and potato flour. Don’t be fooled by the word veggie on the label, or by the colorful chips peering out of the see-through package. These crisps are made with potato starch and potato flour, with a little tomato and spinach powder thrown in for coloring. Sweet potato chips, also sold at TJ’s, are made from real sweet potatoes, which means they have a lot more nutrition than these veggie imitators. I’m all for hummus (as well as other chickpea-based fare) so I want to make sure it’s clear that hummus gets the thumbs up! The array of nutrients in hummus and other chickpea-based foods increase the nutritiousness of your diet and research shows that people who eat these foods have a lower risk of being overweight or obese. Chickpeas also protect you from heart disease and diabetes, and keep your digestive system humming along. The catch here is the pita chips that go along for the ride. They’re made from wheat flour (code for white, refined flour) instead of a healthier whole grain, which means the pita chips lack the beneficial spectrum of nutrients that whole foods, including whole grains, provide. On top of that, the snack pack portion is quite hefty, and may be too much for your needs. One study found that foods labeled as ‘snacks,’ like these are, can prime us to overeat later on, and coupled with the oversized portion, this may prompt you to go above and beyond your personal requirements. My advice is to buy the hummus separately, and dip away with pre-sliced veggies (such as carrots, cucumbers or red pepper slices). Whole grain or bean-based chips would also be better choices.